This jet black mica sedan has an automatic transmission and is powered by a 187HP 2.5L 4 Cylinder Engine. Our Mazda6's trim level is GS. The 2018 Mazda6 GS is a midlevel trim with numerous features for comfort and convenience. This model includes dual-zone automatic climate controls and a heated steering wheel in addition to the standard features found on the entry trim. Easy access is provided by the advanced keyless entry system while safety is assured with the advanced blind spot monitoring system and rear cross traffic alert. Smart City brake support helps prevent collisions. Other features include the seven-inch touchscreen display with MAZDA CONNECT, Bluetooth with audio profile, a voice-activated navigation system, integrated Aha internet radio and integrated Stitcher internet radio capability. 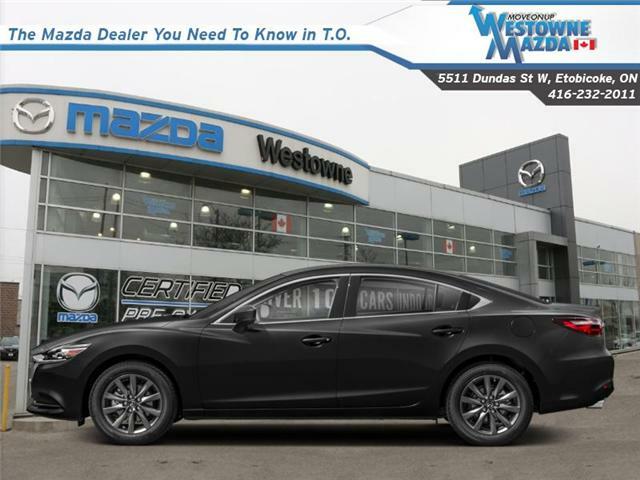 This vehicle has been upgraded with the following features: Navigation, Heated Steering Wheel, Bluetooth, Blind Sport Detection, Mazda Connect, Remote Keyless Entry, Collision Warning.